Is 'Machete Kills Again...In Space' Still Happening? Robert [Rodriguez] is working on it. When that comes out, it's gonna just be unbelievably crazy. 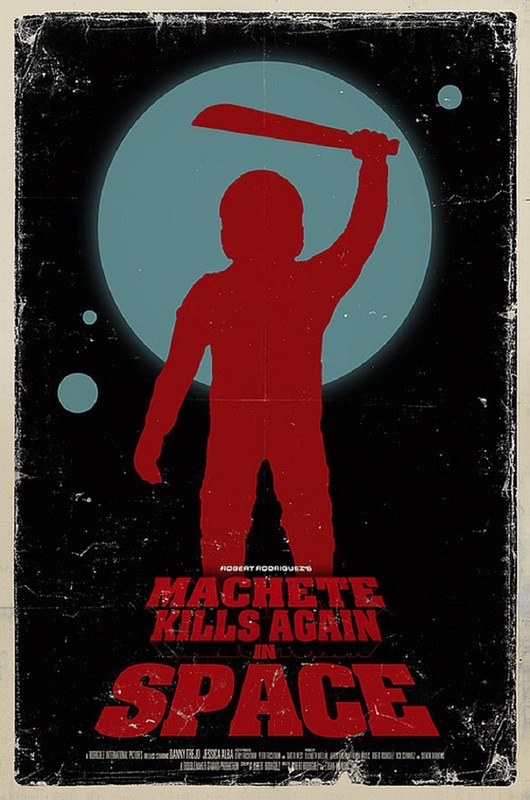 So yeah, it's not a trailer or a relase date, and truth be told I"m sure Rodriguez is working on 20 things all the time (someones got to write the next Spy Kids movie), but it's cool to know there's a possible world ahead where we get more Machete. I'm all for quality, classy, film but we have to mix the trashy and fun in there with it. All I know is that I'll be in line whenever this hits theaters.